Look how happy little Violet MacIntosh was when colleagues at our Leith store reunited her with her precious Bunny who she lost on a shopping trip with her mum. Bunny has been by three-year-old Violet's side ever since she was born prematurely, weighing just one pound seven ounces, so everyone at the store was determined to find him. But they were giving up hope after six weeks searching – until our colleague Sue Garbett saw someone pick up a Wellington boot … and Bunny fell out. The store’s community champion Kay Pugh, pictured here with Violet, got in touch with Violet's mum Rhia Watson to tell her the good news and arrange the happy reunion. Rhia said: “Violet was absolutely over the moon to get Bunny back. She was upset to lose him, so she was very excited when she went back in to the store to get him back. Everyone at the store was absolutely amazing. "Kay told me they looked everywhere. They never expected to find him in a Wellington boot. "When we went back in to pick him up, I asked Violet if she had put him in the boot, and she just said 'yep!'." Bunny was lost when Rhia and Violet called in at the store with Rhia's mum. Rhia said: "Violet, as she does, started running around. My mum ran after and then we realised Bunny had gone. We searched for him for a good wee while, but couldn't find him so we told colleagues and posted an appeal on Facebook. "We bought her another bunny, and tried to make it look old and worn like the lost one, but she knew it wasn't the same bunny." Kay said: "I got everyone to keep an eye out for Bunny, as it was obvious how special he was to Violet. "Everyone in the store was talking about him and looking for him, but we just couldn't find him. "To be honest we were starting to lose hope, because she lost him in early May. Then, six weeks later, I came back to the store to a note from Sue saying she had found him. "It was fantastic to see how happy Violet was to get him back. We put him back inside a Wellington boot and got her to pull him out – she was well impressed!" Sue, who's the store's George section leader, said: "Kay had asked us to look everywhere for this bunny – and we really did look everywhere, but we just couldn't find him. "Then we were doing a display change. I was moving the kids' shoes and some of the kids' Wellington boots fell on the floor, and Bunny fell out. "I'm so glad Violet has been reunited with him." Bunny's been with Violet ever since she was in an incubator and was bought for her by Rhia's sister Jessica. Rhia, who lives in Leith with her partner Danny MacIntosh, Violet and her sister Isabella, said: "She was critical a few times. She got an infection which led to sepsis; her lungs were failing and she had to be given very strong ventilation to stretch her lungs. She also had lots of blood transfusions. 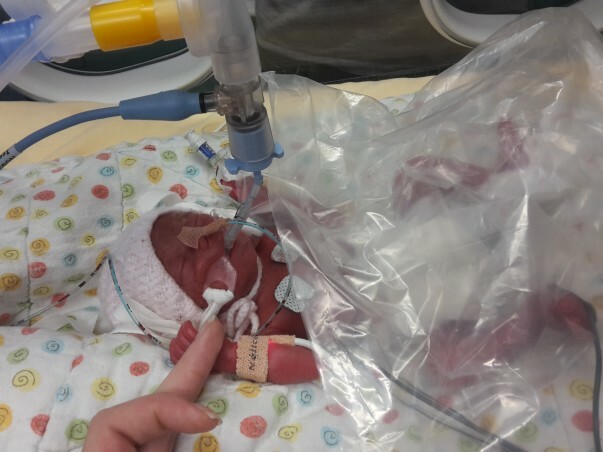 "She had a very hairy four months at Simpson Neonatal Unit in Edinburgh. The doctors and nurses there were heroes. They worked their magic, and she came home. "Last year she was basically given the all-clear – she's a miracle baby. She's a very strong-willed character, loves climbing and runs everywhere!"